Lorna Reid, a stalwart of Irish journalism, has died. 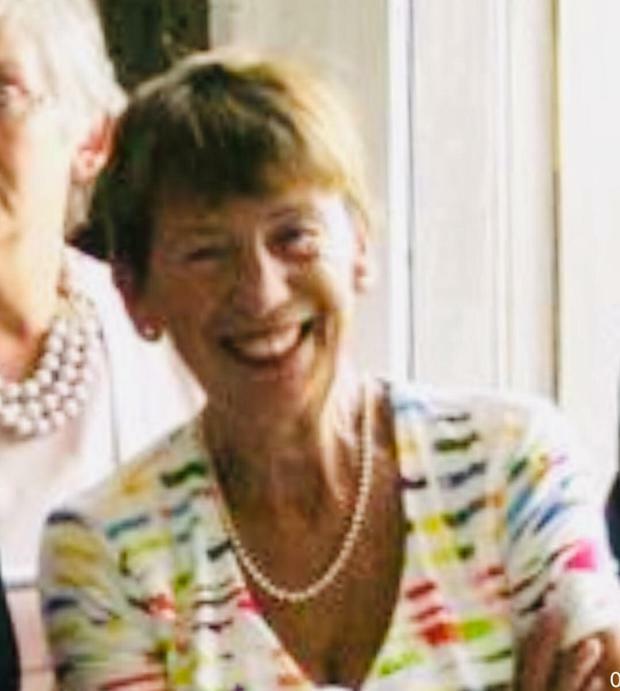 The 67-year-old native of Tralee, Co Kerry, passed away in St Vincent’s Hospital, Dublin last night, with her devoted husband, Ciaran Kennedy, by her side. She had taken ill at her home in Mount Merrion, Dublin last weekend. Lorna joined Independent Newspapers as a teenager in August 1969, when female news reporters were an extremely rare breed, and spent almost 42 years with the company before her retirement in 2011, carving out a stellar reputation for fast, accurate and well-rounded reporting. She combined an eye for detail and a talent for identifying the heart of a story with razor-sharp writing skills to distill the most complex issues into the confines of a newspaper report that every reader could understand. Whether making sense of a Dáil debate, a long day’s proceedings at a tribunal in Dublin Castle, a difficult court case, a voluminous report where the devil was well hidden in the detail or a breaking news story, day in, day out, Lorna brought her expertise to every assignment. Outside journalism, Lorna was a voracious reader, while her green fingers ensured that she maintained an outstanding garden for all seasons. After an early retirement, she took full advantage of the extra time it allowed to enjoy travelling with her husband. Her sudden and untimely passing has caused shock among colleagues and friends. Long-standing colleague Michael Denieffe, a former editor and managing editor at Independent Newspaper, led the tributes. He said: “Lorna Reid was a superb journalist. She faultlessly epitomised standards of journalism which the modern multi-media publishing world desperately strives to match and maintain. “Professional, diligent, accurate and fair, her career spanned over 40 years service with Independent Newspapers across a number of fields and included coverage of many of the country’s major news events. “Lorna was a veteran reporter of proceedings in the Dáil and Senate, the High Court, Central Criminal Court and District Court. She reported consistently on the Mahon Tribunal, the longest tribunal in the history of the State; the Moriarty Tribunal, various Dáil committees and the British-Irish Inter Parliamentary Body. She was also a former Consumer Affairs Correspondent for the Irish Independent. Outside of reporting of statutory affairs, Lorna had a deft writer’s touch and her coverage of Gay Byrne’s last ‘Late, Late Show’ in May, 1999 for the Irish Independent was memorable. “In person, Lorna was engaging, interesting and acutely observant. She had a wry sense of humour as evidenced by her recall of her first byline in the ‘Irish Independent’ which read: ‘Irish Independent Woman Reporter, which reflected the extreme scarcity of women in the ranks of journalists at the time.